Party Animal is recalling all lots of its 13-oz. 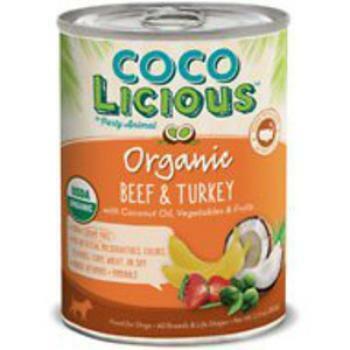 cans of Cocolicious Beef & Turkey dog food (Lot #0136E15204 04, best by July 2019) and 13-oz. cans of Cocolicious Chicken & Beef dog food (Lot #0134E15 237 13, best by August 2019). The products may contain pentobarbital. Pentobarbital is a barbiturate that can cause several side effects for dogs who consume it, including drowsiness, dizziness, excitement, loss of balance, nausea nystagmus (wherein the eyes move back and forth in a jerky manner), inability to stand, and coma. Consumers who purchased the recalled products should return them to the place of purchase for a full refund.